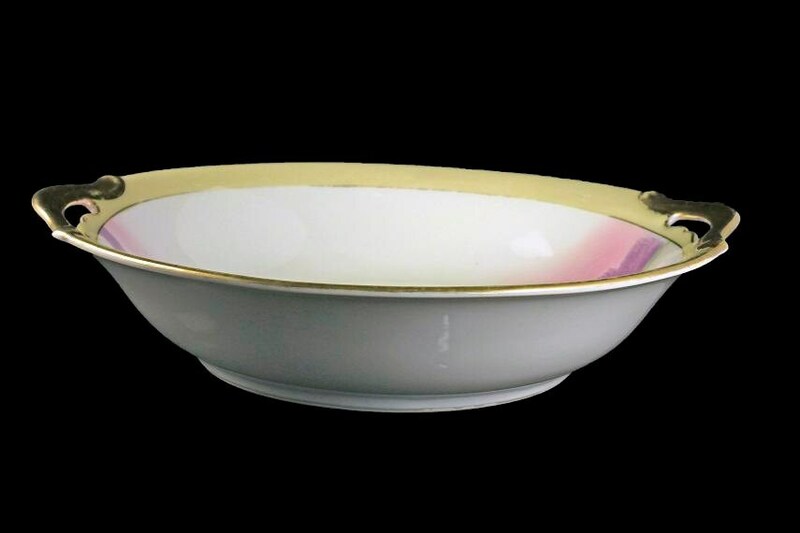 A beautiful handled bowl by Meito China. 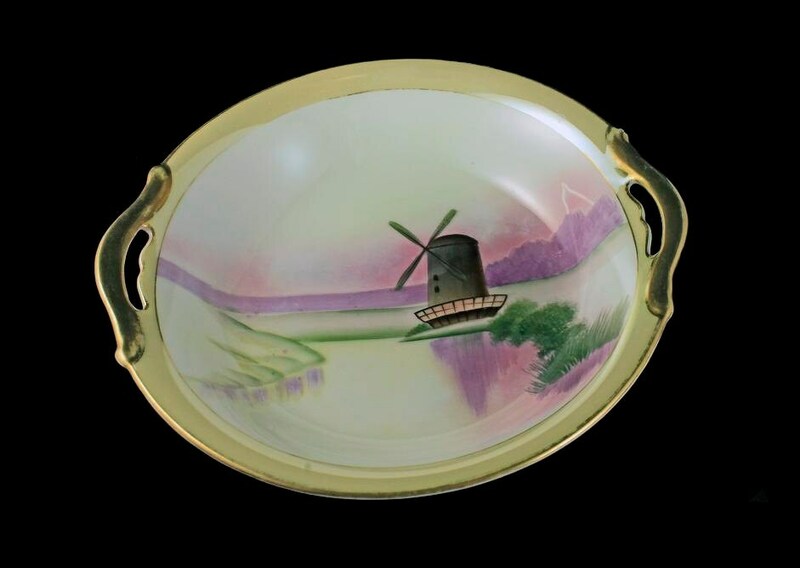 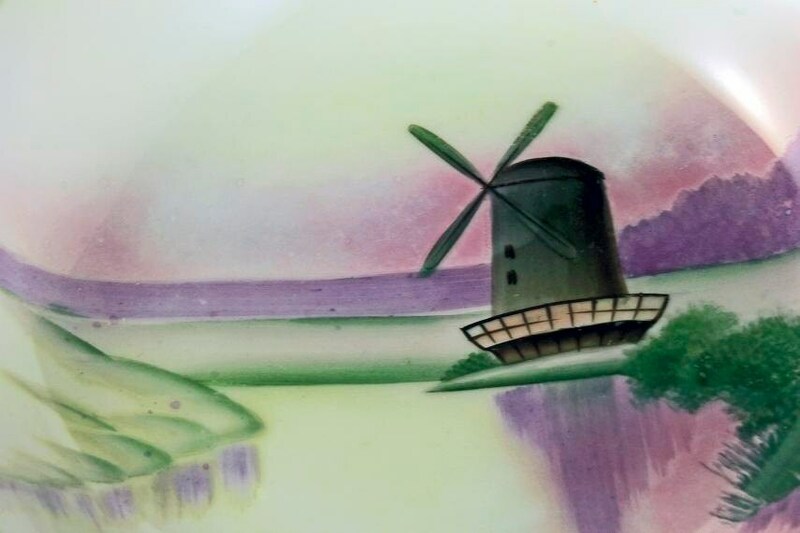 It is handpainted with a windmill in a meadow and it has gold trim. 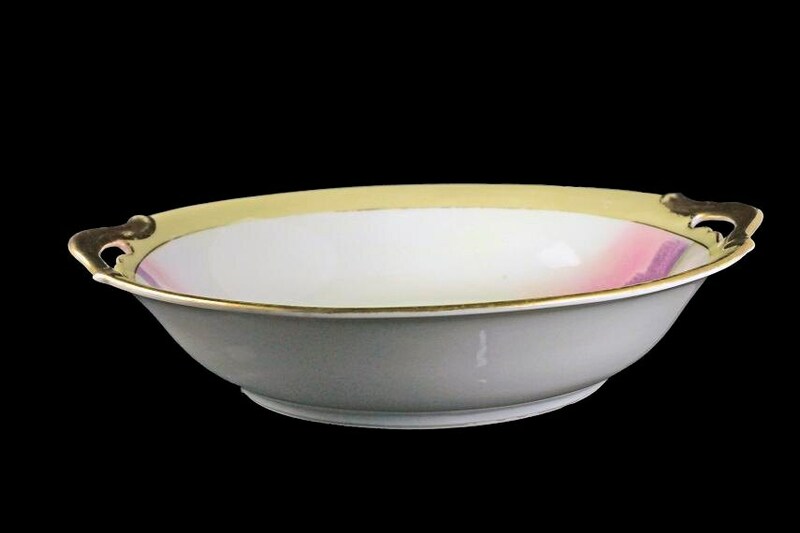 This bowl would be a great serving piece or as a display piece. 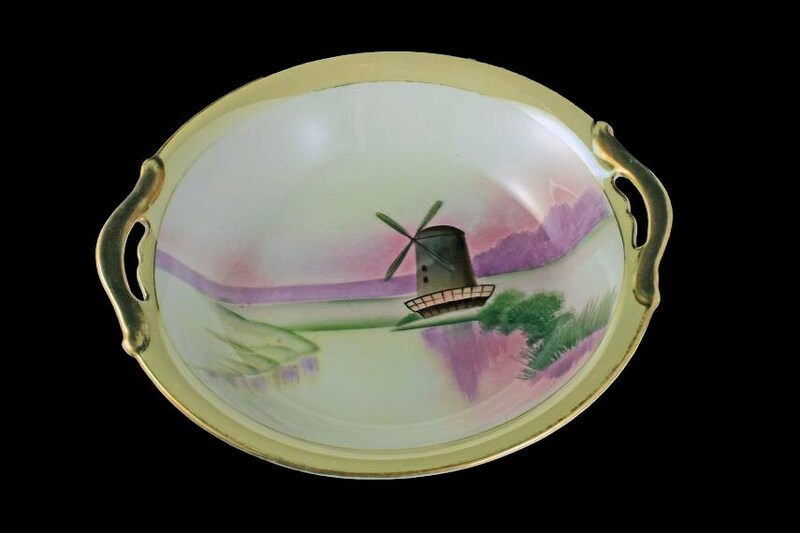 It would look gorgeous on a dining table, buffet, or sideboard.